ANNOUNCING BOH & ARTIST #2 @GAYMERX : Zach Weiner & F3RAL! If you missed our Gaymers Hangout! last night, no worries, as we’re here to catch you up on all the goodies, including a new Boss of Honor, artist for the GaymerXConcert, and TONS of new features on GaymerConnect. Our second official BOH is none other than Zach Weinersmith, who is the creator of the comic strip Saturday Morning Breakfast Cereal. He has a degree in literature and 3/8ths of a degree in physics. He published a science fiction gamebook entitled “Trial of the Clone,” and is currently running a kickstarter for a book of science themed comics, called “SCIENCE: Ruining Everything Since 1543” He also co-hosts “The Weekly Weinersmith” with Kelly. Lastly, but certainly not least, we have lots of new amazing features on GaymerConnect – so much so that we hesistate to include it all in one email! You can now use the Gaymer SuperScope (NOT 6!) to find other Gaymers based on mutual games played and networks on, as well as find gaymers based on location through a really super cool map that shows you gaymers across the world. You can also search Gaymers by network, so if you need 3DS friends, you now have over 2,500 gaymers to meet! Hope to see you at our next Gaymers Hangout on Sunday! New GaymerConnect Features and Interview with GameRevolution about GaymerX! 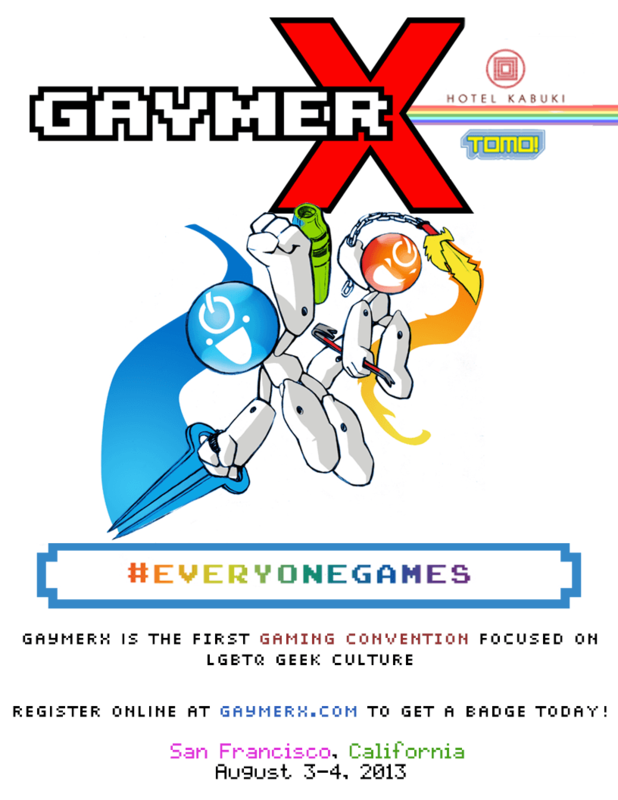 > We recently did an interview with the fabulous GameRevolution.com about GaymerX and what’s in store. Please check it out! > We’ve also made some HUGE updates to GaymerConnect including the ability to +XP posts, customize your account with user banners, and tons of new characters. Check it out and don’t forget to vote up the panels you want to see at the convention! Hope you’re all doing great – we’re going to announce BOH #2 soon! Please tell your friends about GaymerX as tickets are selling out fast!